I loved this book! This book will appeal to anyone who loves multi-generational stories and complex family dynamics. Sisters Nora and Theresa Flynn's lives are shaped by a secret that could rip their entire family apart. 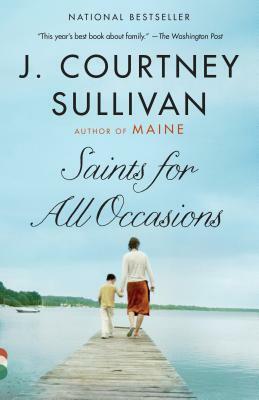 J. COURTNEY SULLIVAN is the New York Times best-selling author of the novels The Engagements, Maine, and Commencement. Maine was named a 2011 Time magazine Best Book of the Year and a Washington Post Notable Book. The Engagements was one of People Magazine's Top Ten Books of 2013 and an Irish Times Best Book of the Year, and has been translated into seventeen languages. She has contributed to The New York Times Book Review, the Chicago Tribune, New York magazine, Elle, Glamour, Allure, Real Simple, and O: The Oprah Magazine, among many other publications. She lives in Brooklyn, New York.